MANILA, Philippines – The defending champion Barangay Ginebra is looking for a 2-0 advantage while the Meralco Bolts will attempt to tie the series in Game 2 of the 2017 PBA Governors' Cup Finals today, October 15 at the Smart Araneta Coliseum. Game time is set at 6:30 p.m.
After Ginebra's dominance in the first game, 102 - 87, Coach Tim Cone wants his team to prepare for the best version of the opponent. "You take everything after Game 1 with a grain of salt. 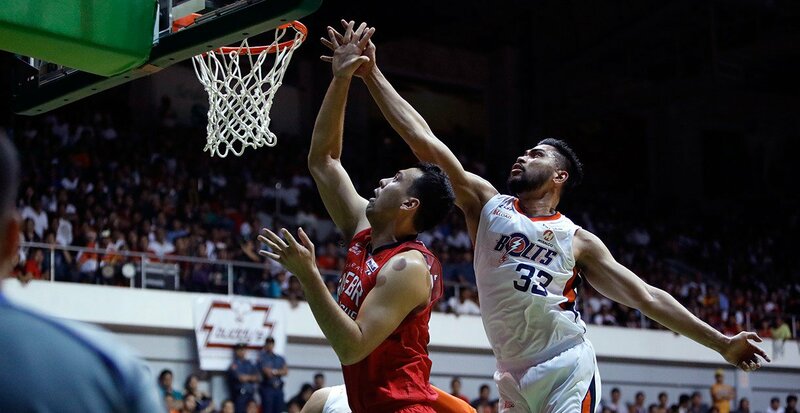 This is not representative of anything as the series goes on," Cone said in a report shared on PBA website. "We played a very solid if unspectacular Game 1, but we know we caught Meralco on a cold shooting night," Cone added. Justin Brownlee topped all protagonists with 32 markers, 19 boards and 6 dimes on their first game. His peak offensive form and a lot of big bodies proved to be a winning formula for Barangay Ginebra. Tell us your thoughts and predictions below!